CABIMER’s Good Manufacturing Practices (GMP) Core facility is a Unit for ensuring that pharmaceutical products are consistently manufactured and controlled according to quality standards (QC). GMP is designed to minimize the Risk and ensure Safety. The GMP unit of CABIMER is a cell production core facility (UAPC-CABIMER) engaged in the scale-up of human cells considered as Advanced Therapy Medicinal Products (ATMPs) in accordance with article 17 of regulation (EC) nº 1394/2007. The production of ATMPs is carried out in accordance with GMP standards and handled with appropriate controls to ensure their safety, quality, and efficacy as a final medicinal product. UAPC-CABIMER was the first in Andalucía to obtain the Certification from the Spanish Agency of Medicines and Medical Devices (AEMPS, Agencia Española del Medicamento y Productos Sanitarios) to produce cellular medicaments (16 November 2009). On February 2012 and later on April 2015, UAPC-CABIMER passed the inspection of the GMP facilities by AEMPS and got the Accreditation for three more years. So far UAPC-CABIMER has produced approximately 100 doses of Cellular Medicaments under investigation (100 patients treated), contains two Production Units and, in collaboration with University Pablo de Olavide, trained more than 10 experts in Quality Control, Quality Assurance and Cellular Medicaments Production. 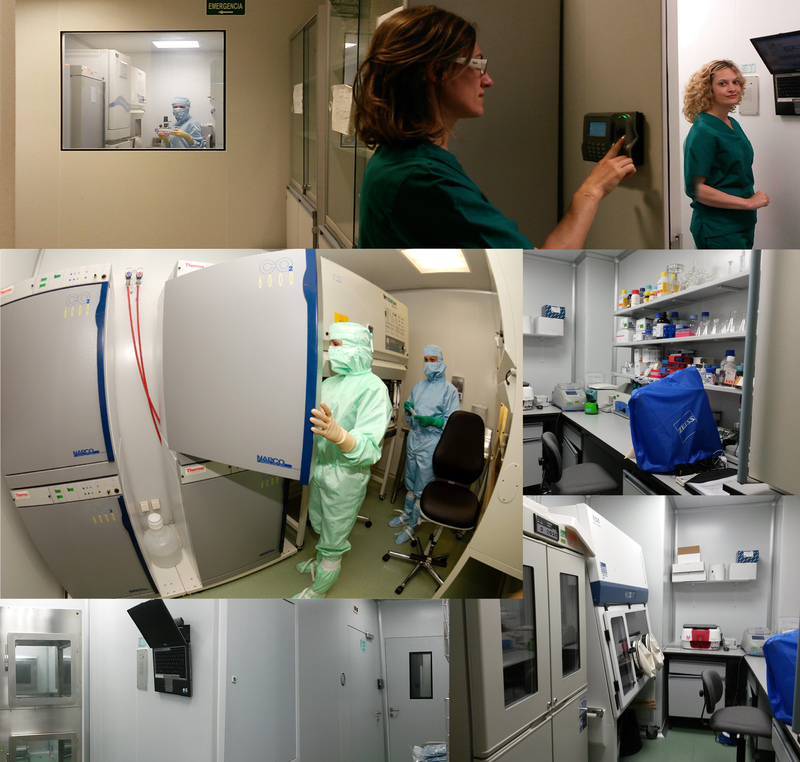 The UAPC-CABIMER facility is a fully equipped 57m² installation, is part of the Stem Cells Department and a Core facility of CABIMER. The UAPC-CABIMER has 2 production units for manufacturing ATMPs to use in Clinical Trials and Compassive Use and a fully independent Quality Control (QC) Unit. The UAPC-CABIMER follows the strict regulations established by Standard Operating Protocols (SOPs), which cover all issues of ATMPs manufacturing, including recordkeeping, personnel qualifications, sanitation, cleanliness, equipment verification, process validation, and complaint handling. The full responsibility corresponds to the Scientific Coordinator and the Technical Manager (Technical Director) of the Unit; the key personnel of UAPC-CABIMER include the head of production, the head of quality units and the authorized persons. The quality units comprise Quality Assurance (QA) and Quality Control (QC) functions and are combined in one department, the Head of Production and Quality Units are independent of each other. Full-time qualified personnel occupy key positions. Quality Assurance: Quality Assurance covers all matters, which individually or collectively influence the quality of the ATMP product. The primary role of the QA is to assure that ATMPs are designed and developed in a way that meets the requirements of Good Manufacturing Practice (GMP). Quality Control: This unit deals with sampling, specifications and testing, together with the organisation, documentation and release procedures which ensure that the necessary and relevant tests are actually carried out and that ATMPs are not released for use until their quality has been judged to be satisfactory. General: The application of adult stem cells and stem cells derivatives as Regenerative Therapies for Cancer, Genetic, Metabolic, Autoimmune, Inflammatory and Degenerative Diseases and, more specifically, to develop cell-based therapies for type 1 and type 2 Diabetes Mellitus and its Complications.